Orion Air Quality Monitors are designed for measuring nitrogen dioxide, sulfur dioxide, carbon monoxide, and ozone with parameters such as humidity, air pressure, and temperature. Unit’s monitoring is performed using MicroServer that provides internet and industrial protocols, datalogging capability and ports for wind, solar radiation, and/or precipitation sensors. 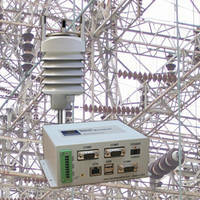 Orion AQM Plus units offer PM2.5 and PM10 particle measurements. According to the World Health Organization, air pollution is the largest single environmental health crisis we face. Monitoring air quality has never been so important to global health and economy. 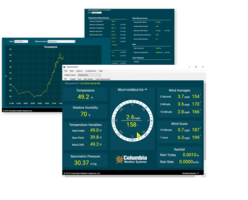 The new Orion Air Quality Monitor expands the environmental offerings from Columbia Weather Systems to measure common gaseous pollutants Nitrogen Dioxide (NO2), Sulfur Dioxide (SO2), Carbon Monoxide (CO), and ozone (O3) with meteorological parameters humidity, air pressure and temperature. 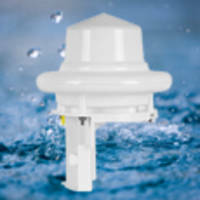 The Orion AQM Plus model adds particle measurements PM2.5 and PM10. Traditionally complex and expensive equipment made it challenging to monitor air quality sufficiently for localized results. 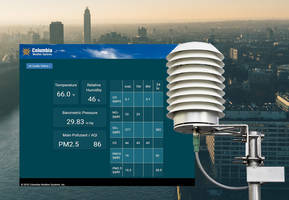 This new system offers a more cost-effective solution that can be paired with additional meteorological parameters to provide a comprehensive air quality monitoring in micro-climates with complex terrains and urban areas. 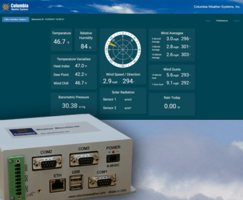 Monitoring is accomplished via a MicroServer which offers a variety of Internet and industrial protocols, datalogging capability, and ports for additional sensors such as wind, solar radiation, and/or precipitation sensors. Data can be downloaded for archival and analysis. 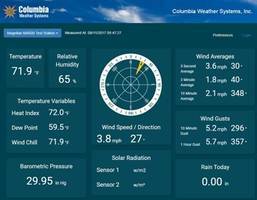 Weather MicroServer comes with an overview option.